(TORONTO - March 15, 2010) Lust. Passion. Murder. Many of the greatest artists of the 19th century shared a profound fascination with the theatre and its themes of triumph and destruction, love and despair. This summer, the Art Gallery of Ontario gives centre stage to key artworks by these artists in a major international exhibition titled Drama and Desire: Artists and the Theatre, opening June 19 and continuing through September 26. 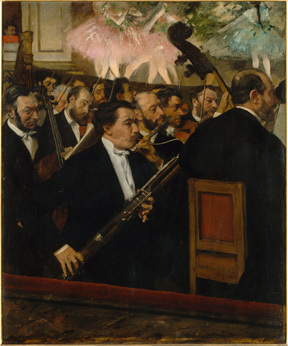 Conceived by Guy Cogeval, president of the Musée d'Orsay in Paris, the exhibition includes over 100 paintings, drawings and theatrical maquettes, by masters such as Edgar Degas, Eugène Delacroix, Jacques-Louis David, Jean Auguste Dominique Ingres, William Blake, Aubrey Beardsley, Henri de Toulouse-Lautrec, and Édouard Vuillard. The works were selected from the collections of some of the world's greatest museums, including the Louvre, the Metropolitan Museum of Art, the Musée d'Orsay, the British Museum, and the Victoria & Albert Museum. The AGO has commissioned Gerard Gauci, set designer for Toronto's Opera Atelier, to make Drama and Desire an experience like no other. Visitors will enter the exhibition by walking ‘onstage' through a life-size 18th-century set; the works will be displayed using enhanced lighting, sound and video components as well as innovative theatrical devices; and a full-scale re-creation of an early 20th-century theatre maquette will mark the finale of the exhibition. "We want our visitors to feel as if they are onstage alongside the subjects of these extraordinary works," says Matthew Teitelbaum, the AGO's Michael and Sonja Koerner Director, and CEO. "These works rarely leave their home institutions, so we're especially honoured to be the sole North American venue for Drama and Desire." 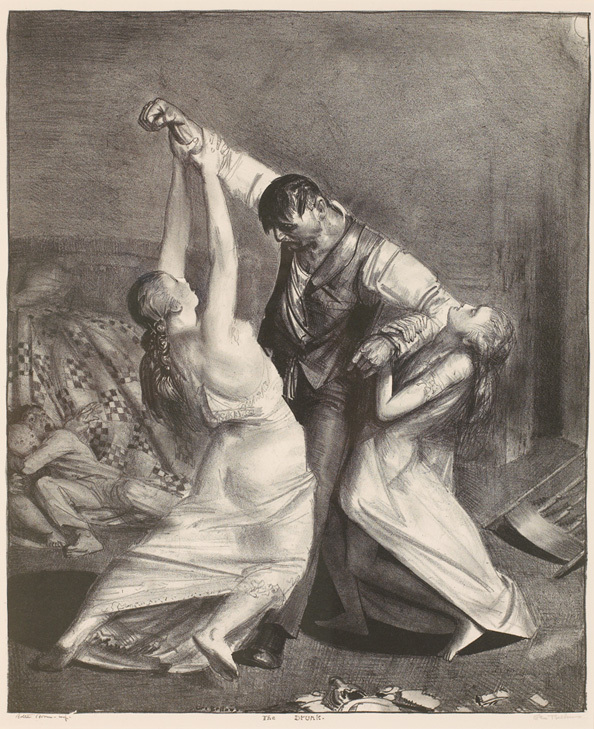 "The sweep of this remarkable exhibition mirrors the historical period it covers - from the French Revolution to the outbreak of the First World War," explains Katharine Lochnan, AGO deputy director of research and the R. Fraser Elliott Curator of Prints and Drawings. "Many artists began flocking to the theatre - drawing inspiration from Shakespeare and Ibsen; Wagner and Verdi; and, of course, the ballet." AGO Members will be invited to an exclusive preview of the exhibition on June 16 and 17. Members will receive free admission to Drama and Desire throughout its run. A comprehensive 408-page catalogue will be published in conjunction with the exhibition. Titled Drama and Desire: Art and Theatre from the French Revolution to the First World War, the catalogue is edited by Cogeval and MART curator Beatrice Avanzi, with an essay by Lochnan, titled "Delacroix on Stage." It will be available for purchase at shopAGO ($64.95 softcover; $94.00 hardcover). Drama and Desire: Artists and the Theatre is a specially ticketed exhibition and will be on view in the AGO's Sam and Ayala Zacks Pavilion, currently home to King Tut: The Golden King and the Great Pharaohs. The exhibition leads a strong Summer Season at the AGO, focused around themes of storytelling. Playing with Pictures: The Art of Victorian Photocollage opens June 5; The Storyteller opens June 9; and Janet Cardiff: Whispering Room opens June 10, coinciding with the 2010 Luminato Festival. Drama and Desire: Artists and the Theatre is organized by la Direction des Musées de Marseille, Museo di arte moderna e contemporeanea di Trento e Revereto (MART), and the Art Gallery of Ontario.